p.s: support for more projects coming on the way…. The authentication library is released as “alpha”. If you don’t see something you want or if you think we missed addressing some scenarios/capabilities, let us know! In this initial release of the authentication library, we focused on simplifying the getting started experience, especially for Office 365 services and not so much on the interoperability across other services (that support OAuth) but that’s something we can start looking for next updates to make it more generic. The library is not meant to replace Active Directory Authentication Library (ADAL) but it is a wrapper over it (where it exists) which gives you a focused getting started experience. However, If you want to opt out and go “DIY”, you still can. 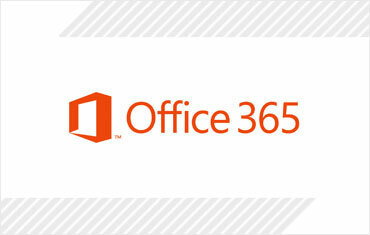 The first step to accessing Office 365 APIs via the client library is to get authenticated with Office 365. Once you configure the required Office 365 service and its permissions, the tool will add the required client libraries for authentication and the service into your project. Lets quickly look at what authenticating your client looks like. Office 365 APIs use OAuth Common Consent Framework for authentication and authorization. – For now, if you want to use the discovery service, you will also need to configure a SharePoint resource, either Sites or My Files. This is because the discovery service currently uses SharePoint resource Id. And also help you re-authenticate for a different resource when you create the service client. The library automatically handles token lifetime management by monitoring the expiration time of the access token and performing a refresh automatically. Thats it! – Now you can make subsequent calls to the service to return the items you want! The library is available as a Nuget package. So, if you want to add it manually to your project without the tool, you could do so. However, you will have to manually register an app in the Azure Active Directory to authenticate against AAD. You will need to use the Office 365 API tool which generates the aadgraph.js under the Scripts folder that handles authentication. The hybrid approach is not merging information from two different site collections into one. Or making sure an on-premise document library has the same content as the document library in an online environment. So what does hybrid technically mean then? It basically means we have two separate environments that act and operate completely independent of each other. Even the SharePoint service applications such as the user profile service, managed metadata service, and search cannot be shared between the on-premises farm(s) and SharePoint Online environment. Instead, administrators should choose to either fully deploy a service application in only one location, or configure an instance of the service in each environment. But still there are ways to integrate functionality between the two environments. The idea is that you first segment the different workloads from SharePoint across the on-premise and online environment. You often see that the commodity services like collaboration on team sites, news sites, projects sites and so on are stored in the Online environment, while the more advanced scenario’s often remain on-premise (think of BI capabilities, Fast Search or advanced custom solutions). So where does the hybrid word come from then? It basically means that we stitch these two environments together using the same look and feel, so that the end users have a complete transparent and rich experience and do not notice the difference between working in the on-premise environment or in the online environment. They can only see the difference by looking at the URL. So how do we give these two environments the same look and feel (branding), so that the end user doesn’t notice the difference? This is not as simple as it sounds. In order to make the environments look and feel the same, you would need to design and apply the same master pages, use the same icons, images and style sheets. Next to that you need to make sure the global navigation of both environments will integrate seamlessly by linking to each other’s environment. More detailed information and things to consider when branding a SharePoint Online environment can be found here. Search is one area which has some integration capabilities. Thought the integration is not ideal, as we can’t share the relevance of the search results between the two environments. But what we can do is to have either two search boxes, one for on-premise content and one for the online content, or use federated search. With federated search you can do one search query, but get two separated results from two difference content sources showing up in two separate result sets. Below is a screenshot of search results from SharePoint and search results from Bing. Obviously you can customize the search results page and its layout so that it will fit your needs. Bear in mind though, that you can only setup federated search in an on-premise environment and is not available in the Online environment (see also the Microsoft SharePoint Online for Enterprises Service Description). More info about the search integration capabilities can be found in the whitepaper “Hybrid SharePoint Environments with Office 365”. A user’s my site and my profile should exist in a single environment only to ensure that there is a single correct and complete source of user data. Although the user profile service cannot be shared between environments, it is possible to link on-premises SharePoint User Profiles to Office 365 and vice versa. So whichever environment a user is currently browsing, if they access their own or another user’s profile, it will redirect to the environment that is hosting the service. More information on how to implement user profiles and my sites in a hybrid environment can be found in the whitepaper “Hybrid SharePoint Environments with Office 365”.